Last week's sunshine may have left as suddenly as it came, but when the fog starts to roll in, we can't help but daydream of curling up with a captivating page-turner. 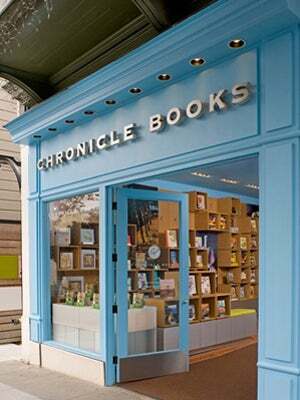 Chronicle Books is heeding the wish by unloading its warehouse for a mega sale. Head over to the corporate headquarters anytime between today and tomorrow and scoop up some good reads at an insanely discounted rate (65% off to be exact!). Want a new recipe book to cook with? Check! A children's fairytale to lull the kids to slumber? You got it! And, of course, fashion and style focused coffee table staples will also be up for grabs. So, book it over the to Chronicle Books and escape into a fantasy world — reality will still be here when you reach the epilogue. When: Friday, April 26, 9 a.m. to 7 p.m. and Saturday, April 27, 10 a.m. to 3 p.m.
Where: Chronicle Books, 680 Second Street (at Townsend Street); 415-537-4200.